Looking for a sweet version of Irish Soda bread? Look no further! 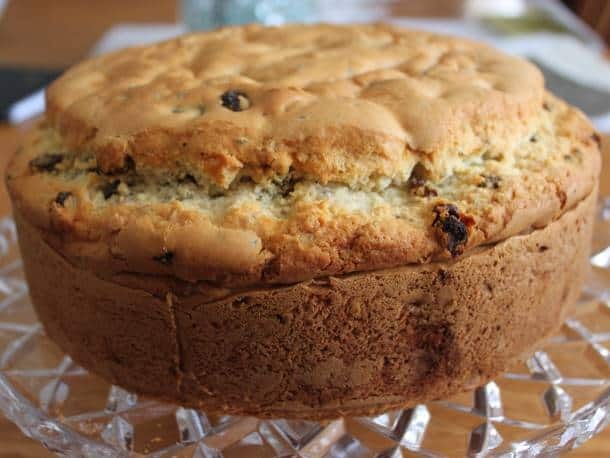 This recipe for gluten-free Irish soda bread tastes more like a cake than a dry savory bread. It’s made with butter, sugar, eggs, and raisins. And it’s so good, no one will guess that it’s gluten-free! Okay. Let’s get this out of the way before we even begin: Yes, I know this isn’t a traditional Irish soda bread recipe. True Irish soda bread is usually made with wholemeal (whole wheat) flour, baking soda, buttermilk, and salt. That’s it! 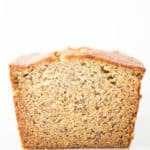 But…I grew up in the United States with an Italian-American mother who loved American-style soda bread that was sweet and dotted with caraway seeds and raisins. Now I could tell you a story about how each year she made a loaf from scratch, blah blah blah. What really happened is that around St.Patrick’s Day, she’d bring home a loaf from the Grand Union supermarket, cut into it, and offer me a slice. She’d almost always complain that there were not enough caraway seeds in the loaf. This usually happened around the time that I’d scrunch up my nose at the mere presence of any caraway seeds and leave my slice uneaten. Over the years, I came around to loving American-style Irish soda bread. (spoiler: I still hate caraway seeds in the bread.) So that’s the style recipe that I’ve recreated for my gluten-free Irish Soda Bread. Next year, I’m going to try my hand at a traditional Irish Soda. Until then, this is what I have to offer. Before we even talk about how to mix up the batter for this gluten-free Irish soda bread, I need you to know that the recipe requires a 9-inch springform pan. If you don’t have a 9-inch springform pan, go ahead and use a 9-inch cake pan. Just be sure it’s 3-inches deep. Most are only 2-inches deep. Now that we’ve got the special equipment out of the way, let’s talk about the batter. Yes. Batter. While it’s called “Irish Soda Bread“, it’s nothing like gluten-free sandwich bread. This is more like making a giant scone. 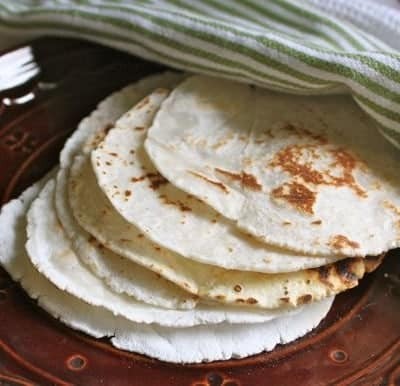 You’ll start by whisking together white rice flour, sweet rice flour, and potato starch. Then add some caraway seeds (omit if you hate them) a generous amount of baking powder, table salt, and a little baking soda. This is unusual—even for a non-traditional soda bread recipe. Most recipes call for all baking soda. However, during testing, I found that when made with baking powder, instead of soda, the bread had a more consistent rise and better texture than one made with all baking soda. Then whisk in some xanthan gum. This half teaspoon of xanthan gum holds everything together without making the bread gummy at all. Without the xanthan gum, this gluten-free Irish soda bread doesn’t rise as high and the texture suffers. So don’t omit the xanthan gum. Once all your dry ingredients are combined, cream together butter and granulated sugar until a thick paste forms. Don’t worry about this mixture getting light and fluffy. We aren’t relying on butter-sugar mixture to leaven this recipe. The baking powder and soda take care of that. We just want the butter and sugar to combine until thick. Then add the eggs one at a time It’s a good idea to stop the mixer and scrape down your bowl after you add each egg. It’s amazing how much of the butter-sugar mixture won’t get any egg to incorporate if you don’t stop the mixer and scrape it down. This is especially true if you are using a KitchenAid mixer. I love those things but, man, there’s always a thick layer of butter-sugar that the egg can’t seem to penetrate unless you scrape everything together. Once the butter-sugar-egg mixture has mixed, add half the dry ingredients. Mix to combine. The batter will look dry. This is totally normal. Then add half the buttermilk. By adding the dry ingredients and buttermilk in stages, you’ll get a nice batter that won’t break. Repeat until you’ve used all the dry ingredients and buttermilk. Mix until your batter is smooth and thick. If you like raisins, go ahead and add them. Spread the batter into a prepared 9-inch springform pan and bake until golden brown. In my oven, this takes about an hour and twenty minutes. When the bread is done, place the bread, still in the pan, on a wire rack to cool. After about ten minutes, remove the ring from the pan and allow the bread to cool completely. Even with the addition of eggs, butter, and sugar, this bread stales pretty quickly. After about two days it turns dry and crumbly. If a nine-inch loaf is too much for you, bake the bread in muffin cups. This way you can eat your fill and freeze the rest! The baking time for muffins is shorter than for the whole loaf. Keep your eye on the first pan (check it after 20 minutes) and adjust your timing from there. No matter how you make this recipe, with caraway seeds or without, in a loaf or in individual muffins, you’ll have a great soda bread. Just not a traditional Irish one, of course! The following links are affiliate links. 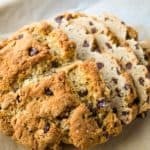 GlutenFreeBaking.com earns a commission on sales made through these links. Adjust oven rack to center position. Preheat oven to 350 degrees F. Spray a 9-inch springform pan with non-stick cooking spray. In medium mixing bowl, whisk together white rice flour, sweet rice flour, potato starch, caraway seeds, baking powder, salt, baking soda, and xanthan gum. Set aside. In bowl of stand mixer, cream together butter and granulated sugar on medium-high speed until a thick paste forms, about 30 seconds. Add eggs, one at a time, until light and fluffy, about 1 minute. Stop mixer and scrape down sides and bottom of bowl. Add half the dry ingredients. Turn mixer on to low speed. Mix until incorporated, about 20 seconds. Add half the buttermilk. Mix until thoroughly combined. Repeat with remaining dry ingredients and buttermilk. 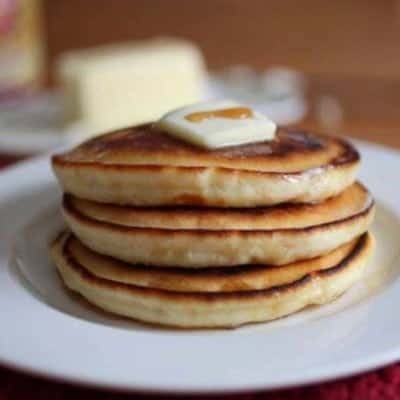 After adding buttermilk, mix until batter is thick and fluffy, about 45 seconds. Add raisins, mix until incorporated. Spread batter evenly into prepared pan. Bake bread until golden brown, about 80 minutes. A cake tester inserted into the center of the bread should come out clean. 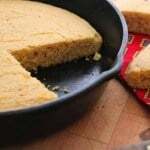 Allow bread to cool in the pan for 10 minutes. Unmold bread and place on a wire rack to cool completely. Store on the counter for up to two days or freeze for up to two months. 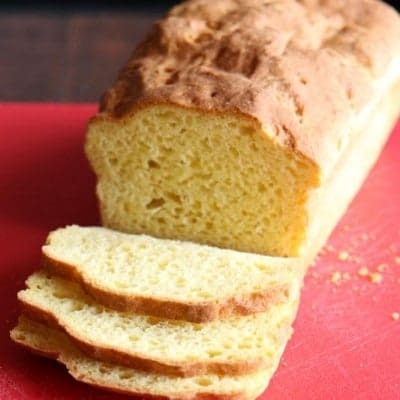 I’ve been wanting to try and make a gluten-free version of Irish Soda Bread and this recipe looks easy enough to make. Also wanted to let you know that I love your website and appreciate all of the great step by step pics/videos. Thanks so much! I hope you enjoy the recipe. It’s one of my favorites! 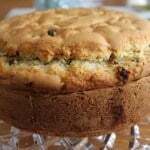 I have been craving some sort of Irish Soda Bread; this looks SO yummy, and EWWW, NO I do NOT like Caraway Seeds either! 🙂 🙂 So, it should be perfect!! I’d also like know if there is a sub for the xanthan? It makes me feel yucky (it can literally make me gag, especially if the bread is too “wet” with it, giving the bread a “slippery” feel in my mouth. Yuck). So I guess I must be sensitive to it for some reason. I don’t seem to have problems with Guar Gum; so, could I use that and would it be a one to one substitution? And could this substitution be used across all your bread recipes that now use xanthan gum (I’m especially interested in subbing it in your Best Gluten-Free Sandwich Bread recipe). I haven’t tried this recipe with a xanthan replacement. Usually you can substitute guar gum for xanthan gum 1:1. Some folks find guar not as “strong” as xanthan gum. So the bread might not rise as high. I made this today and it IS AMAZING!!! 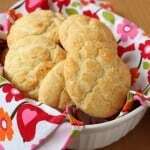 It is light and moist, not too sweet and just delicious with butter and jam. I had to stop myself from eating the whole loaf! f you make it be sure to have softened butter ready to slather on a big hunk once it has cooled a bit. This is one recipe I’ll be making every week! I’m torn between sharing some with my sister or freezing it for me! Normally I love to giveaway my GF creations, but not this one! So glad you’re enjoying the bread!